Ludacris was in the hot seat during Plead The Fifth, but that didn't stop him answering any questions! 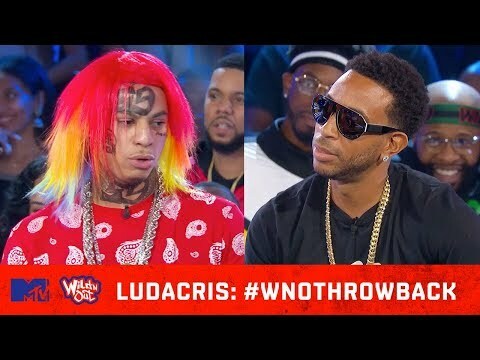 Watch to see why Nick Cannon would get a spot over Tekashi 6ix9ine. 😂 #WildNOut #PleadTheFifth #WNOTHROWBACK #MTV Subscribe to stay updated on the newest content! More from Wild 'N Out! Official Wild 'N Out Website: Wild 'N Out Twitter: Wild 'N Out Instagram: Wild 'N Out Facebook: Nick Cannon Presents: Wild 'N Out delivers lightning-fast improv and head-to-head battles, helmed by the master of ceremonies, Nick Cannon. The stakes are high as teams face off in a series of visceral, hip-hop-edged comedy showdowns, all culminating in a rap battle for the championship belt.